Some people believe that dental health is only focused on preventing cavities in the teeth. It is also important to pay attention to the gums too. Gums play a vital role in a person’s overall well-being and not only in their dental health. 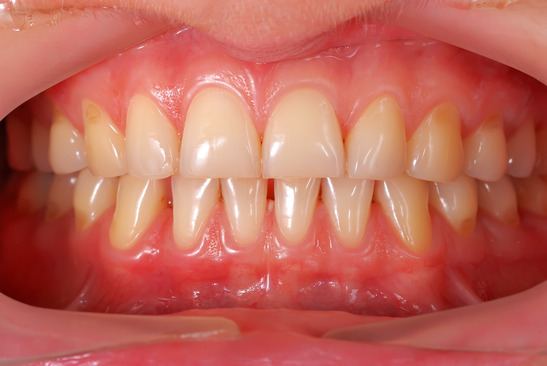 In many cases, bleeding and swollen gums are impending signs of gum disease. However, there are many different factors that cause gum problems. Whatever the cause of painful and sore gums is, there are many steps that people can take to minimize gum discomfort and damage. The main reason for bleeding gums is inadequate plaque removal at the gum line. This area of the mouth is known to be a warm, moist environment. This is where food is broken down into acids and bacteria if it is not removed either by brushing or flossing. Bacteria causes gum disease, and the acids cause tooth decay. Unless removed, this will also harden and turn into a substance called tartar. Tartar is the main cause of increased bleeding in the gums and a more advanced form of jawbone and gum disease called periodontitis. Other causes of bleeding gums include bleeding disorders, infection, Leukemia, Vitamin K deficiency, scurvy and hormonal changes during pregnancy. Gum disease is also known as periodontal disease, and it can turn into a serious dental problem if left untreated. Periodontal disease is the inflammation and infection of mouth tissue that surrounds and supports teeth. It is usually caused by plaque. This is a sticky form of bacteria that often builds up on the teeth due to insufficient cleaning. Warning signs that a person has gum disease include red, swollen tender gums, persistent bad taste in the mouth or bad breath, gums that bleed easily and permanent teeth that are separating or loose. There are many treatments for gum disease including professional dental cleaning. This involves removing plaque and tartar from below and above the gum line. On the other hand, scaling and rooting is a non-surgical dental deep cleaning procedure that is done using a local anesthetic. Tartar and plaque are scraped away, and the tooth’s rough spot are made smooth. There are also numerous surgical treatments for gum disease that includes flat surgery, bone grafts, soft tissue grafts, guided tissue regeneration and bone surgery. It is best that everyone visit their dentists once every six months for plaque removal. They should also brush their teeth gently after every meal using a soft-bristle toothbrush. Individuals may consider avoiding commercial mouthwashes that contain alcohol as these can worsen the problem. People should also floss their teeth twice a day to prevent plaque buildup and to avoid increasing their carbohydrates intake. Smoking should also be avoided because it also aggravates bleeding gums. If diagnosed with a vitamin deficiency, people are recommended to take vitamin supplements. It is very important to see a dentist for a thorough exam and cleaning if a person’s gums are bleeding. The main objective here is to stop the further colonization of plaque bacteria. At the same time, it prevents calcium from attaching on the teeth. In addition, seeing the dentist in the early stage of the disease prevents it from getting worse, and this in turn saves money and discomfort from bleeding gums.